Discover the unique solutions Greif has specifically for the paints and coatings market. Protecting the purity of your products is critical to your success. You have many options for industrial packaging, and you may have special transportation requirements that can be beneficial in the efficiency of how you handle the packaging. Your Greif representative can guide you through this process in order to find the perfect solution. “One of our customers in Europe used to have to clean their steel drums with a solvent cleaner prior to filling. Thanks to our internal cleanliness process which reduces the number of particulates and does not intentionally add silicone, our customer has been able to eliminate this step resulting in several benefits including better quality, better safety and improved efficiency,” explains Alain Sirejacob, Product Manager Steel EMEA. Some of our manufacturing is equipped with the most advanced technology to reduce the number of particles within the steel drum. 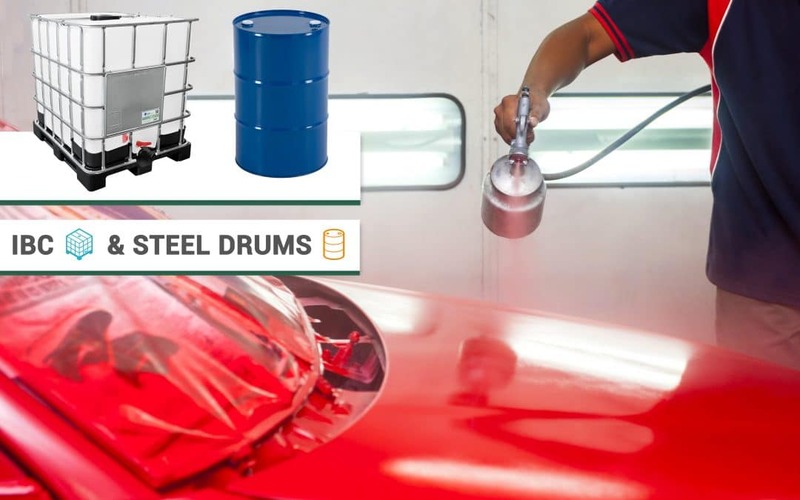 Many companies serving the automotive industry with paints and coatings use Greif’s internal cleanliness solution which is unique in the marketplace. In addition, Greif offers a 55-gallon Agitator Drum with a single or double blade agitator built in. This is widely used for coatings, adhesives, sealants or other more viscous products that might require additional mixing in order to avoid inconsistent product. Contact your account manager to learn more about the specific packaging or logistic solutions Greif has for your industry and in your country.